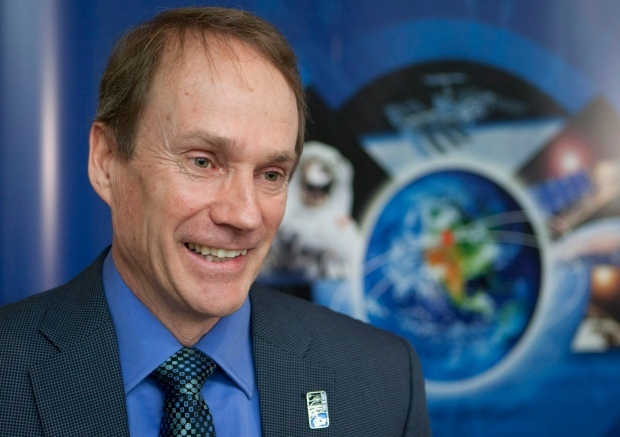 MONTREAL -- The recent announcement from Steve MacLean that he's stepping down as head of the Canadian Space Agency has industry-watchers speculating that it might be tied to government inaction in the space sector. "We received a strong mandate to manage the economy and we're working to deliver world-class space programs in a cost effective way," said the note from Industry Canada. "I never saw anything come out and Steve went through three (industry) ministers -- it never went anywhere," Garneau told The Canadian Press. "In the space business, you need to be able to plan on five- to 10-year horizons and this would have defined in many ways what the main missions of the Canadian Space Agency were." He said the Canadian space program had "floundered" over the last decade. "There's been some lack of clarity around priorities and uneven performance in the implementation of projects," he said at the time. "He's leaving with six months left in his mandate and, well, he's voting with his feet and he's out of there," Black said. "There was nothing going on in Canada," Kevin Shortt, the former president, said in an interview from Munich. "There was a lot of uncertainty in the future in terms of what projects were going to be happening and generating business with the Canadian Space agency." "I mean, Steve is a man of action who wants to see things happen and I think, from Day One, the deck was stacked against him," Shortt said. "Here we are five years later and the industry is still without a long-term space plan so I feel bad for him in that respect." Among others who had praise for MacLean was former astronaut Bob Thirsk, who described his fellow space traveller as "a very accomplished individual with a strong work ethic." "I am completely committed to my current position (but) of course, I will also retain a strong interest in the plans and initiatives of the CSA," he said in an email. Black described MacLean as a national hero -- but he added that the father of three was not a "politician" and never wanted to become one. For his part, Garneau said that what's needed is someone who is not only technically competent, but who understands how the bureaucracy and government work in Ottawa, and who has the best leadership skills. He urged the government not to waste any time finding "a strong leader."